When I think of spritz cookies the first thing that comes to my mind is Christmas cookies. My family loves making the tree shaped spritz at Christmas time! 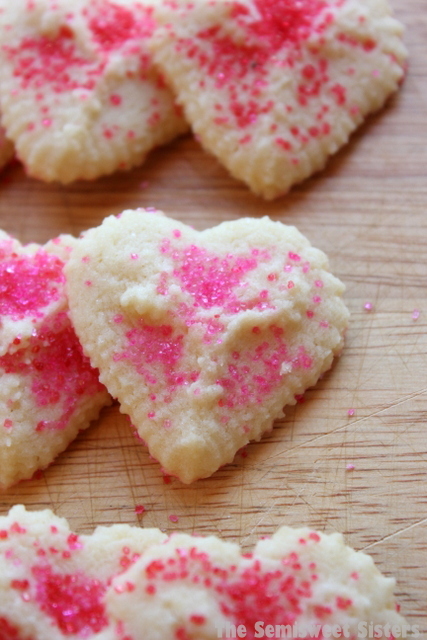 However my aunt just reminded me that the heart shaped disc makes cute heart cookies which are perfect for Valentine’s Day. So if you didn’t have time to make spritz for Christmas then Valentine’s day is the perfect time to make some! 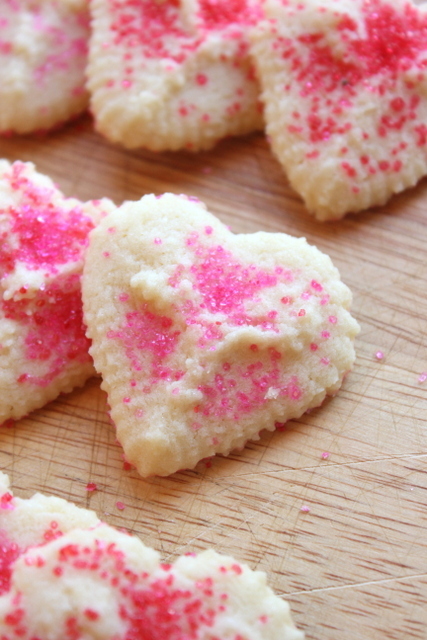 These cookies are easy to make you just need a cookie press with the heart shaped disc. If your not sure what the heart disc looks like I’ve posted a picture below. 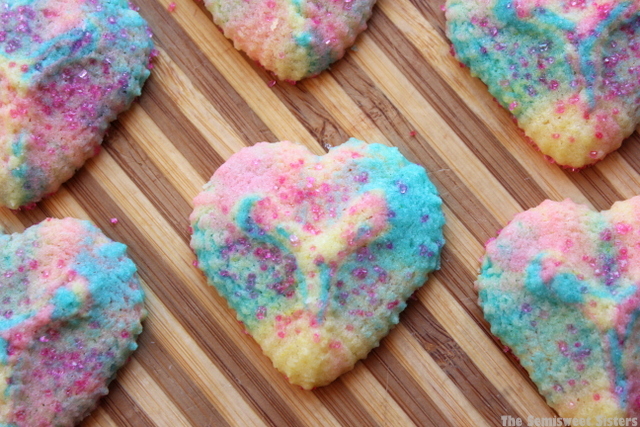 You can make all red or pink cookies, plain ones, or if you want to try making some tie-dye ones you just separate the cookie dough into different bowls. Then add a few drops of whatever food coloring you want to use to each bowl & mix it in. Then when your loading the cookie press break off little pieces of different colored dough & drop it in. 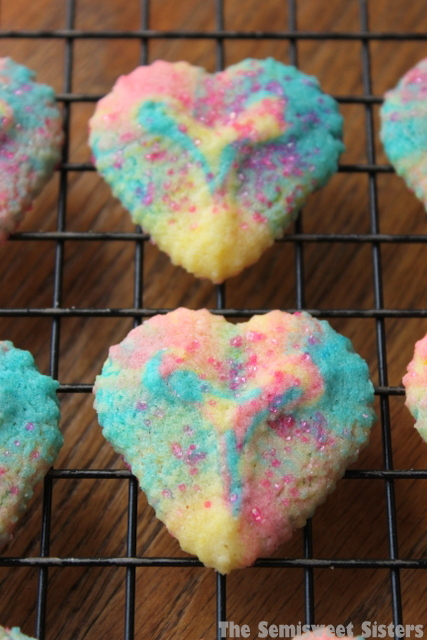 When you press the dough out to make the cookies you will end up with multicolored cookies! I used 3 different colors, pink, blue, & yellow (the yellow didn’t show up well though). If the dough is giving you problems you should try chilling it for 10-15 minutes or so in the refrigerator. Mix butter & sugar together. Stir in egg, vanilla, (or almond extract). Add flour, salt, & baking powder & mix well. (If making tie-dyed colored spritz divide dough into separate bowls & add food coloring. Break off small pieces of each color & drop into cookie press until full). 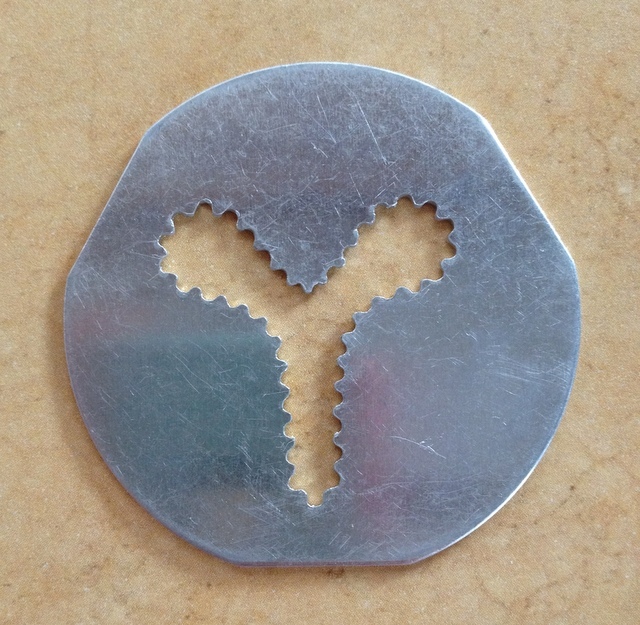 Scoop dough into cookie press fitted with the heart pattern disc. Press cookies onto ungreased cookie sheet.